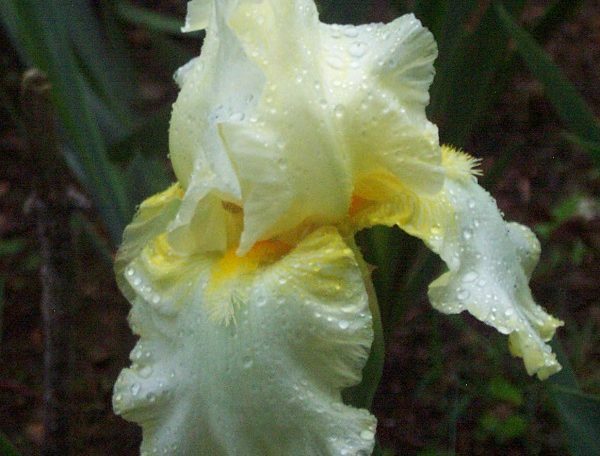 TB, 36″ (91 cm), Very early bloom and rebloom (late November in Alabama). Standards cream, veined lemon; falls cream, lemon halo; lemon beard; ruffled. ‘White Lightning’ X ‘I Do‘. Enchanted Rainbow Garden 1988.